Many of you may know about the Law of Attraction (LOA), but I wanted to share my recent experiences with this powerful practice, as it never ceases to amaze me. For those not familiar, the premise of the law of attraction is simply the ability to attract what we want into our lives by placing our focus on that thing. It was about a year ago that I really started to notice the instant power of the Law of Attraction, and how it works without fail at all times. Despite my best effort to focus on myself, as is with many single women, I often find my focus landing on men. What I began to notice was that if I thought about a particular man, maybe even a guy I hadn’t seen or thought about in years, without fail, if I thought about that guy sometimes even just for a moment… they would manifest in my life, typically within days of me thinking about them. They would text, call, snap chat, whatever the medium, if I thought about them, even just in passing, I knew I was placing a call of energy out to that person, and more often than not, that they would pick up on it and reach out to me. The first time I became consciously aware that this was happening, was when I had a random thought about a guy who I hadn’t talked to in at least 5 years. Two days after I had that thought, I got a text from him. It was way too random for me to believe that this was just a coincidence. So that same day I purposely thought about another guy who I hadn’t talked to quite a few years. A week later that guy reached out to me on Facebook. I did it two more times with other men, and they both manifested in my life quickly after as well. This was clearly much more than a series of coincidences. That was when I started to really grasp the true power of the LOA. Since realizing that, I have become much more aware of all of my passing thoughts about men. There are some men I really don’t want to be inviting back into my life, so if I do have a passing thought about them, to counteract that, I imagine myself standing on a beach, and I take any of that energy that I have around them, put it on a boat, and then push that boat out into the sea while I wave goodbye to it. I know that may sound silly, but I have found it to be pretty effective at dismissing my attention and focus from certain people and bringing more closure to certain situations that I do not wish to continue to see in my life. The LOA works on everything though, not just people in our lives. Whatever you think about, and put focus on, is what you will attract in your life. Which is why when we worry or think about all the negative outcomes that could occur in a situation, we are actually attracting those things into our reality. Instead you should try to focus on the positive outcomes and what you want to see happen. When you visualize your desired outcome, it is more likely to happen. Listen to your inner voice. When you hear yourself saying “Don’t do this” you are bringing attention to whatever it is that you shouldn’t be doing. Instead rephrase your thinking to focus on the outcome that you do want. Example, if you are trying not to cry in a certain situation, don’t think to yourself “Don’t cry, don’t cry.”, but instead think “I am a strong person, I am confident, I am okay” Having the latter repeating in your head during an emotional situation will go a lot further in keeping you from shedding tears than the former. I was reminded about the power LOA yet again last night when I made an awesome connection at a networking event. In thinking about my new house and how I want to decorate things, I have this idea in my mind that I would really love a dining room table made from a tree. 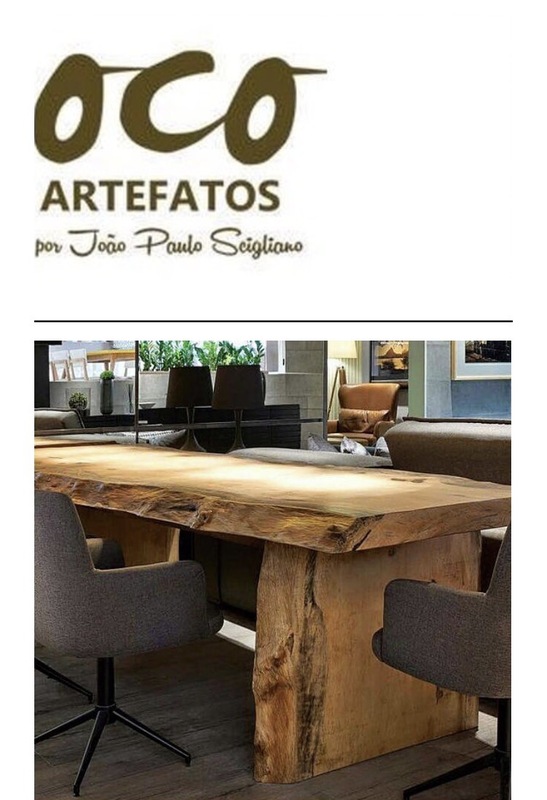 Not just a table made from reclaimed wood though, rather an actual tree, cut down the middle, where you have bark as the sides of the table and an incredible unique design on the inner part of the tree as the table top. I have been searching online for such things and not had much luck in actually finding anyone who makes such pieces. Last night I was at a networking event, and I passed a man who wasn’t speaking to anyone, more just observing the crowd, and for whatever reason I was drawn to him so I stopped and said hi. After we got to talking I learned that he is a wood designer who just moved to St. Louis from Brazil. I started asking him about the things he designs, and low and behold, he designs and makes wood tables exactly like the kind I have been looking for. Not only that, but I found out he also likes to bike, and that him and his wife live in Tower Grove, a neighborhood right next to my new house. He was looking to meet new people involved in the creative scene in St. Louis, so he can get more connected to other artists. Being someone who loves biking and is also pretty involved with the creative scene in St. Louis, I know I can be a good connection for him as well to get him connected to the people he is looking for. The synchronicity of us meeting last night was simply one of those moments in life where you know you are exactly where you are meant to be. I absolutely love those moments. The Law of Attraction is what creates those moments. Listening to your intuition, such as I did when I felt the call to talk to this man last night, is what connects you to the fruits of the LOA quicker in life. So be mindful of what you are focusing on in your life, because what you think is what you will attract, I can guarantee you that. Focus on the positive aspect of things, and when you hear yourself starting a thought or a worry with “Don’t..” change that thought to focus on desired outcome instead of what you don’t want. You might just be amazed at the power you truly possess when you start to pay attention to what you are truly attracting in life. I’d love to hear from any of you on how you have noticed the power of the LOA in your life, leave a comment below if you feel so inclined to share. Also, check out my new friend’s site, he designs not only wood furniture, but also awesome pieces of wood jewelry! Here is a piece he did that is almost identical to what I had pictured in my mind.